The Gifted Season 2 has picked up right where Season 1 left off. Okay, not really since it's about 6 months after the end of Season 1, but in terms of giving audiences a quality show that nails the tone and purpose of the X-Men, The Gifted is knocking it out of the park. 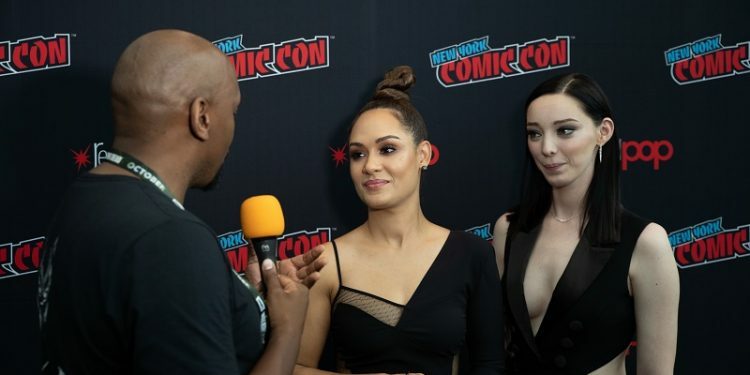 This season sees Emma Dumont's Polaris joining up with The Inner Circle led by Grace Byers' Reeva Payge. Kriss got to chat with both ladies at New York Comic Con. They talk about the intersectionality that Grace shares with her character Reeva and how that informs her portrayal of the character, what's in store for both Polaris and Reeva being two Alpha female characters and what the vision of the future that was shown to Lorna will do to motivate her. The Gifted season 2 airs on Fox every Tuesday night at 8 pm est. MTR's review of the first three episodes will be recorded this Friday and up for download on Sunday (14th) only on the Super Tuesday Recap feed so make sure you subscribe on iTunes, Stitcher, Google Play or Spotify. Stay tuned for more video interviews and images from The Gifted press room at NYCC.